This was the answer of a single, mid-career, Western-educated, professional woman who lives in the more affluent part of Gaza City. Her response suggests the depth of despair among Palestinians throughout Gaza. Day-to-day life in Gaza between Israeli attacks is unworthy news for Western mainstream media. As a result, few people are aware that electricity in Gaza is a luxury, with blackouts lasting 16-18 hours — every day. This bitter reality has warped people’s lives for years now, as they must plan their daily activities around the 4-6 hours when they anticipate electricity, even if that means waking up to put laundry in the washing machine in the middle of the night. Contrary to common belief, the severe under-supply of electricity in Gaza is not new, and not a result of the latest military aggression. Gaza has not had uninterrupted electricity since the establishment of the Palestinian Authority in 1994. 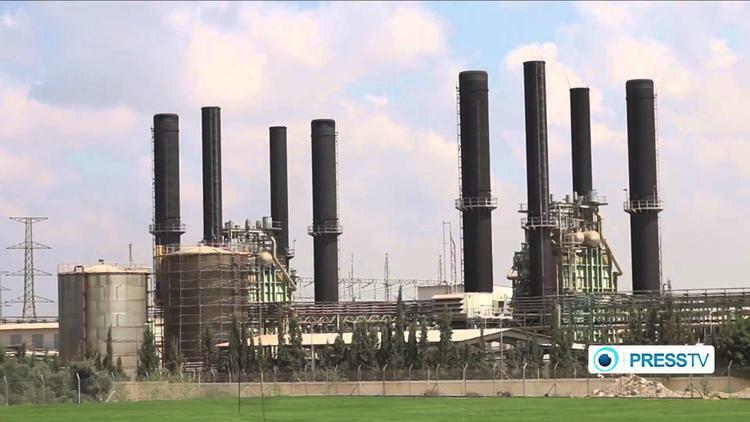 In an attempt to compensate for the Israeli disruption of Gaza’s power supply, the Palestinians established their first power generation plant in 2004. Ever since, Israel has regularly limited the supply of electricity and industrial fuel needed to operate this only power plant in Gaza. Israel’s ability to deny families in Gaza the energy they need is nothing less than collective punishment of Palestinians — punishment whereby an entire community is made to pay for the acts of a few. Separating Gaza’s electricity supply from the political conflict is a step long overdue. Access to electricity — a basic necessity that much of the world, including Israeli citizens can take for granted — should not be conditional upon outcomes of future negotiations. Continued darkness in Gaza serves no one. On September 14, 2014, less than 50 days after the Israeli strike on the plant and less than a month after the cessation of fighting, the Middle East Monitor reported that the CEO of the Gaza Electricity Company, Walid Sayel, announced that Gaza’s power plant was ready to work, pending fuel supply. “The Turkish minister of energy,” the item continued, “had said that his country is ready to send a floating 100 megawatt power plant to Gaza after obtaining the necessary permits (from Israel).” As Palestinians in Gaza try to move on, none of the players involved in the latest debacle, foremost among them Israel, is being held accountable. The barrier is not simply being without fuel for the power plant. The issue is much more complex and calculated. If Turkey were serious about helping, their floating power station would already be in Gaza’s territorial waters even if they had to face down the Israeli navy and risk an international incident to bring electricity to Gaza. If the Palestinian Authority were serious, we would not have to witness the CEO of a Palestinian power plant begging for the funds needed to get the power plant running. And most importantly, Israel has the capacity to provide Gaza with continuous electricity immediately. According to international law, as the occupying power, Israel has sole responsibility to remedy this issue immediately. To the governments and leaders who just returned to Cairo for another round of ceasefire negotiations with no timeline or end in sight, I challenge them to first focus on this basic and humane step: Give the people of Gaza access to electricity. It would be a basic step in easing the stresses of life in Gaza where loved ones can’t check in with one another when cell phones can’t get charged, email and Skype calls are not predictable, and having back-up generators for hospitals is literally a matter of life and death. As what was intended to be a five-year peace process crawls into its third decade, an entire generation of Palestinian children in Gaza who were born in the early 1990s are now turning 16, 18, and 20 years old. Their generation has never known a time that didn’t require candles to be able to study after dark due to intermittent electricity. Israel has the capacity to stop power interruptions today. Sympathetic nations have the influence to insist that Israel does this. If international leadership cannot agree that providing electricity to the people of Gaza — a very achievable goal — should be an immediate priority, how can we possibly imagine that the larger political issues can be resolved anytime soon? Sam Bahour is a business consultant living in Ramallah. He serves as a policy adviser to Al-Shabaka, the Palestinian Policy Network and blogs at www.epalestine.com.